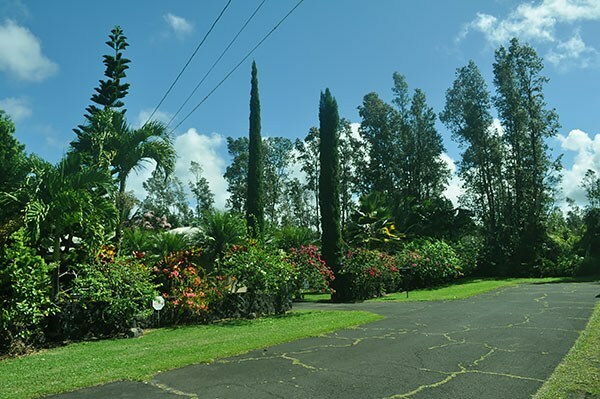 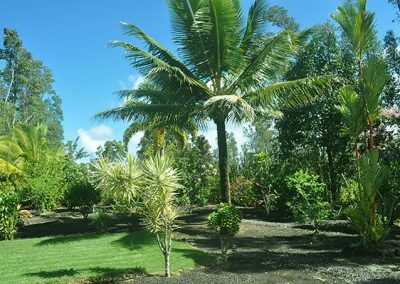 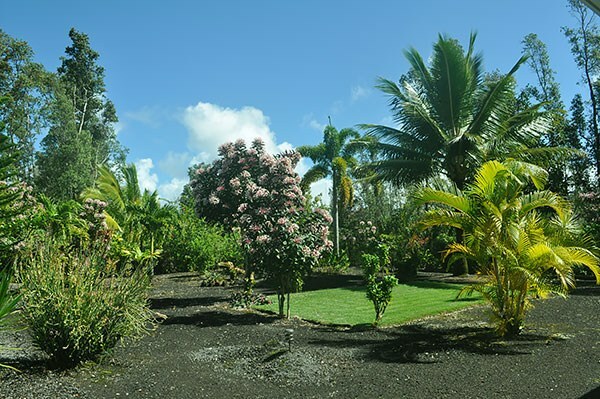 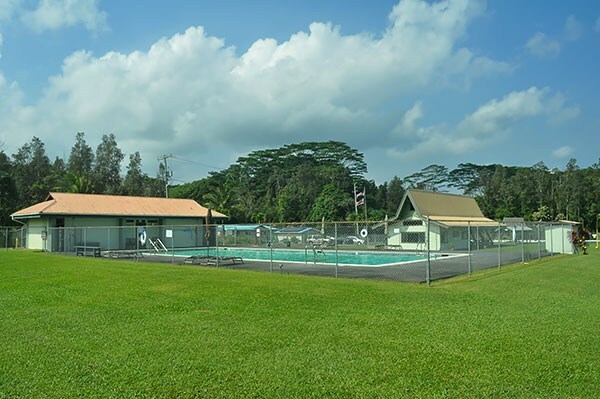 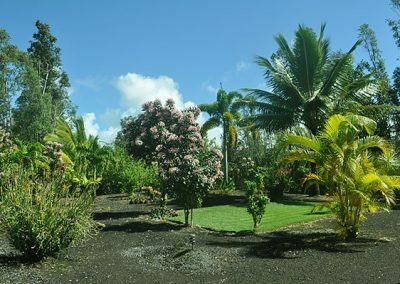 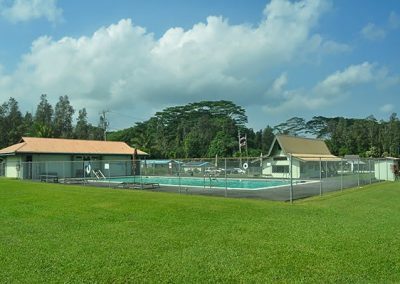 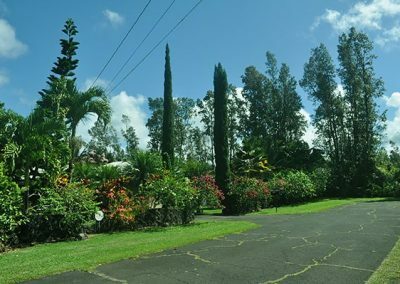 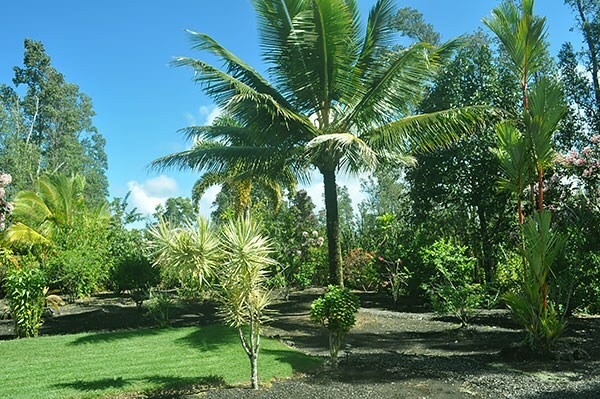 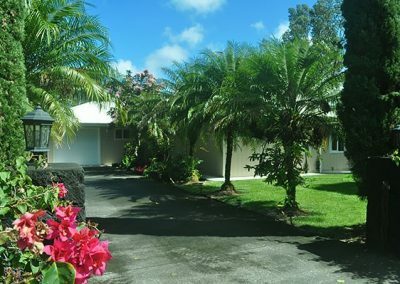 Beautiful, well maintained Hawaiian home nestled in the center of a wonderfully landscaped property located in Hawaiian Shores/Rec Subdivision. 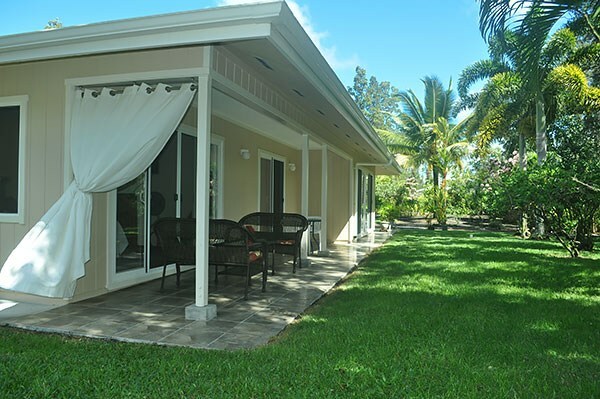 As you enter this home you will walk into the comfortable living area with its 3 large sliding glass doors with their views of the gardens and the open space beyond. 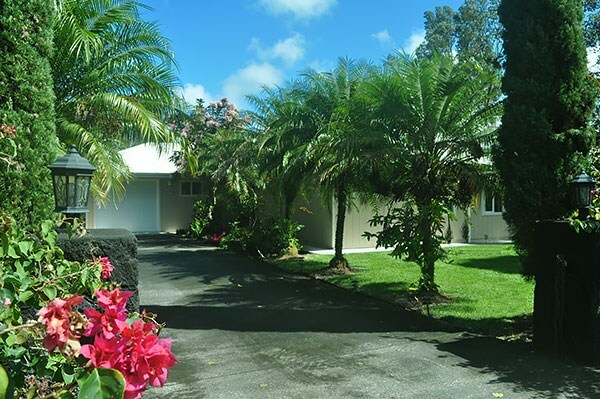 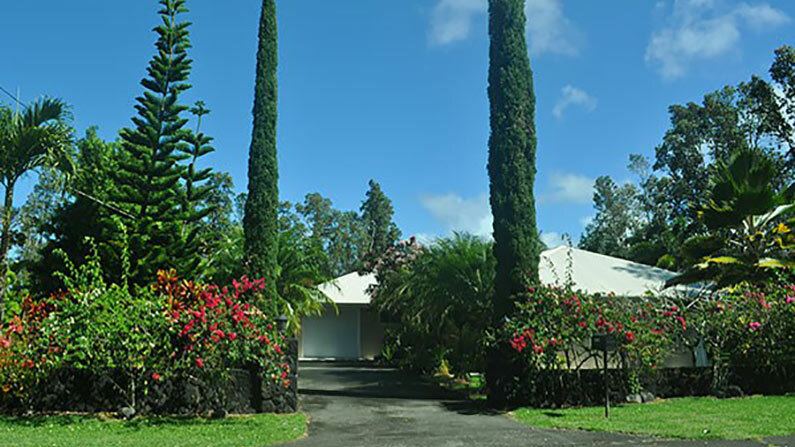 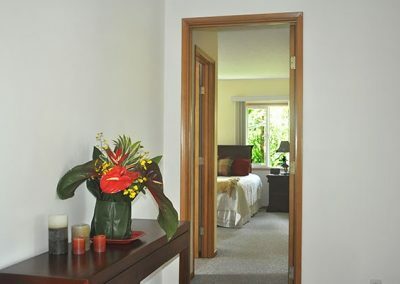 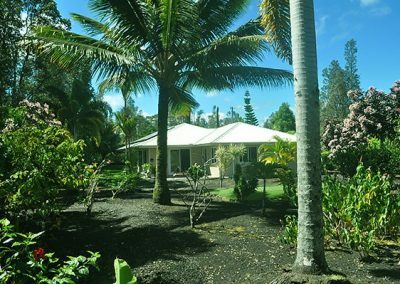 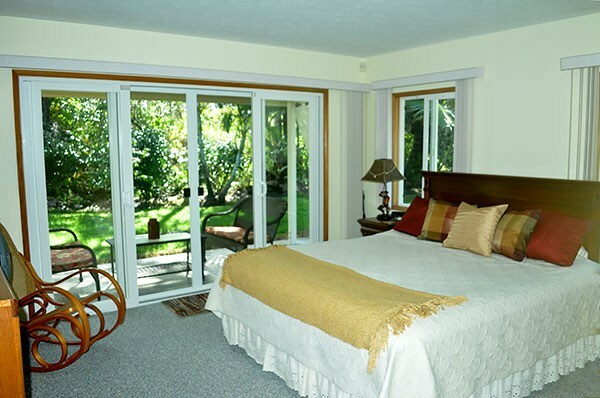 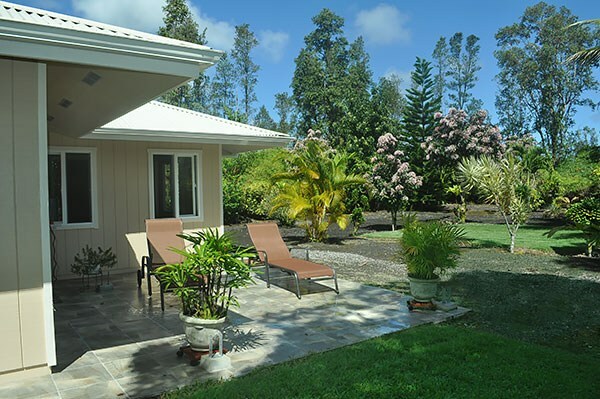 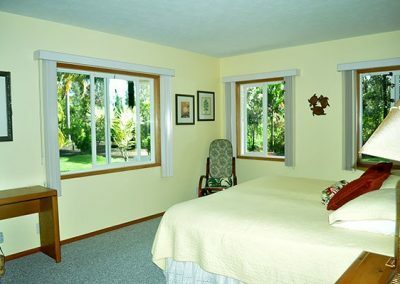 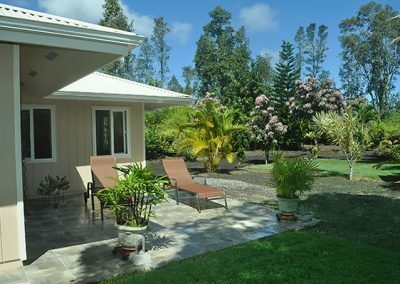 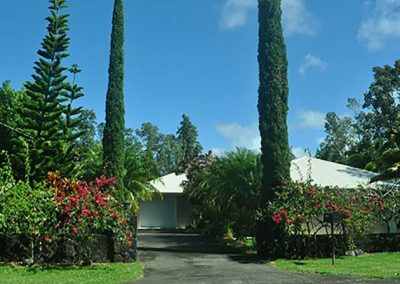 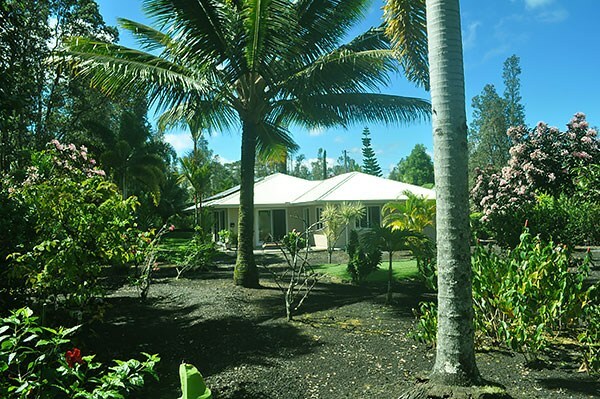 Throughout this well designed house you will find plenty of windows and doors which let in light and the wonderful trade winds East Hawaii is famous for. 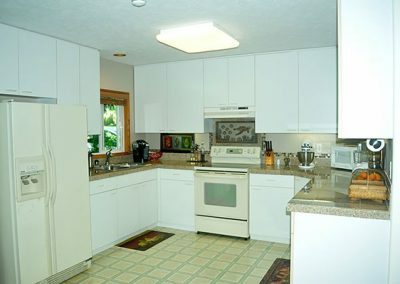 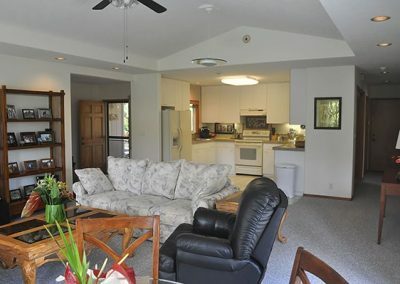 The roomy kitchen which is just off the living area has new granite tile counter tops and plenty of storage. 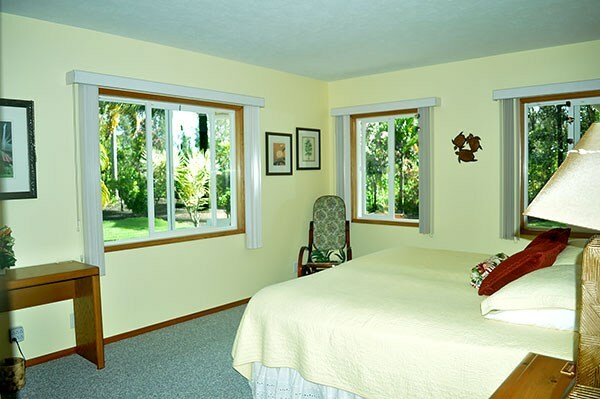 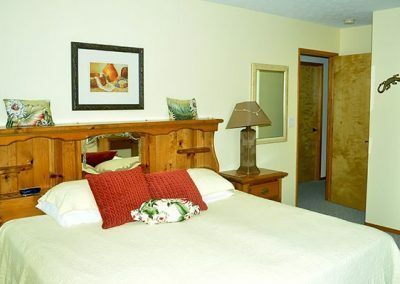 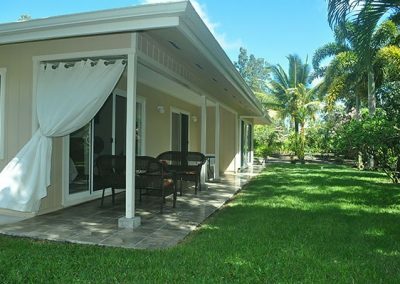 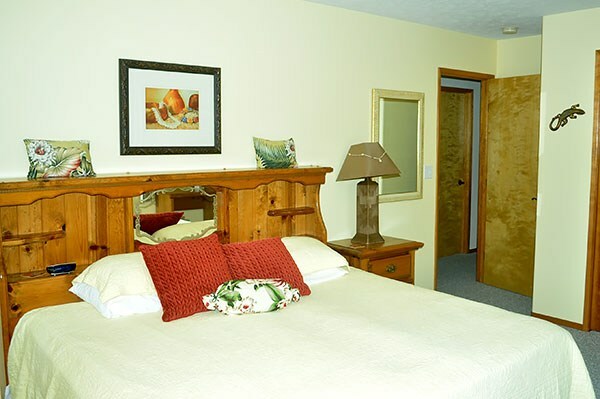 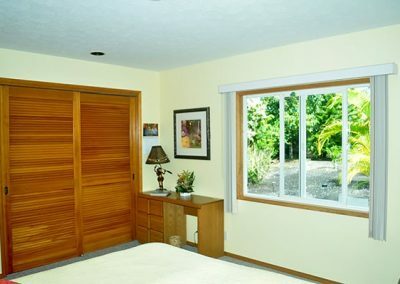 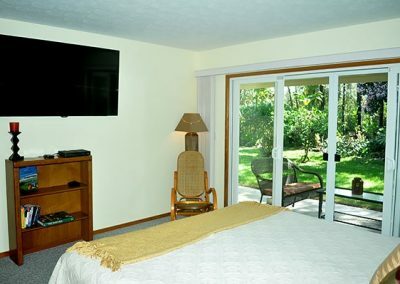 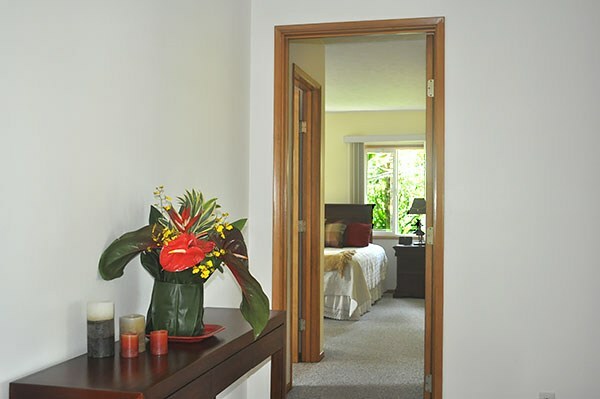 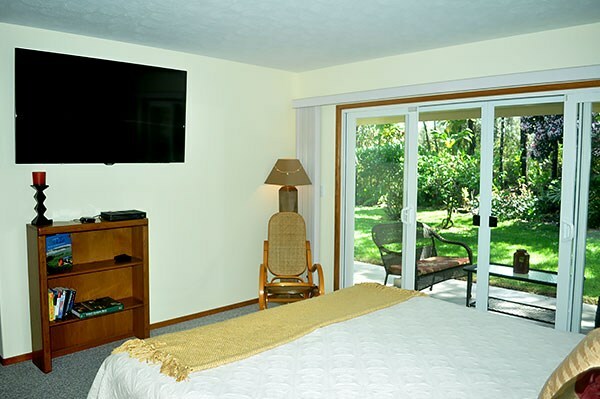 The master suite has a large bedroom area with a sliding glass door out to a tiled lanai, walk-in closet and good sized master bathroom with a separate shower and tub. 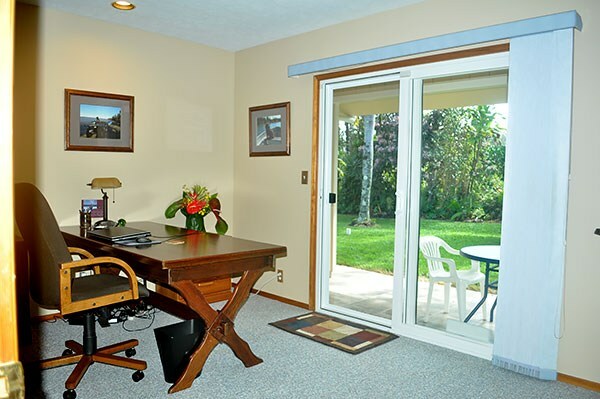 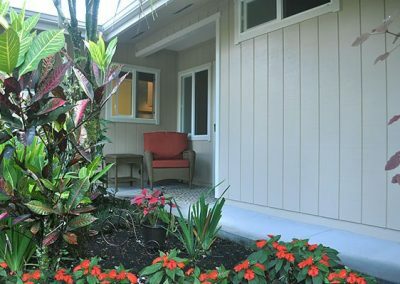 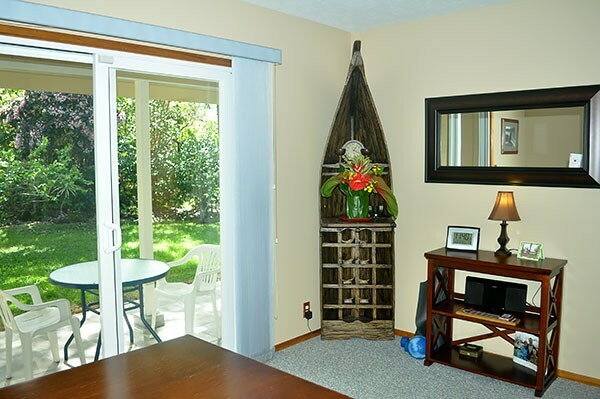 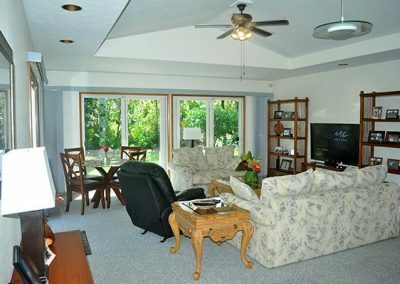 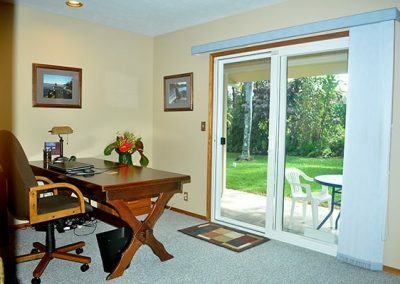 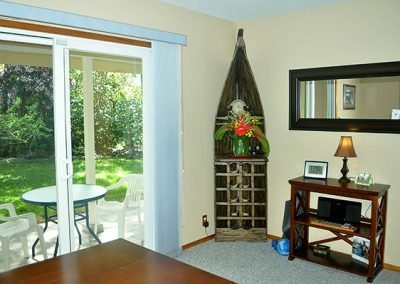 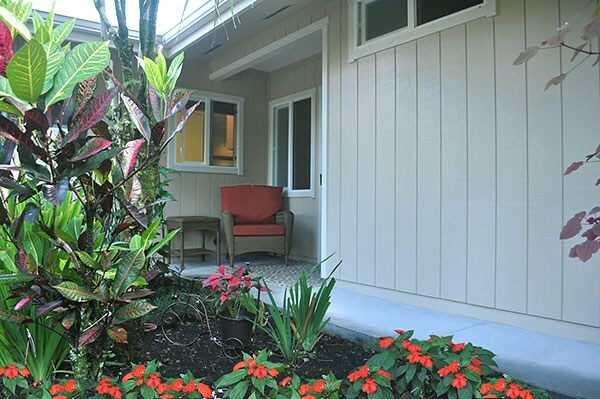 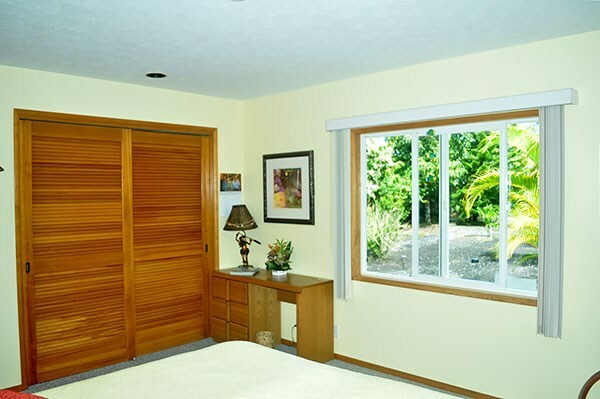 The office, which can be used as a third bedroom, is located in the master suite area and also has a sliding glass door leading to the lanai. 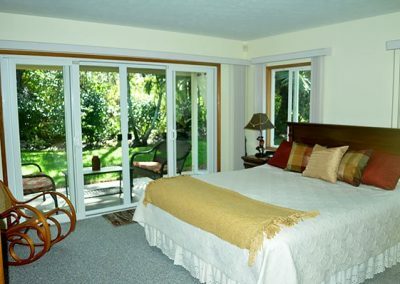 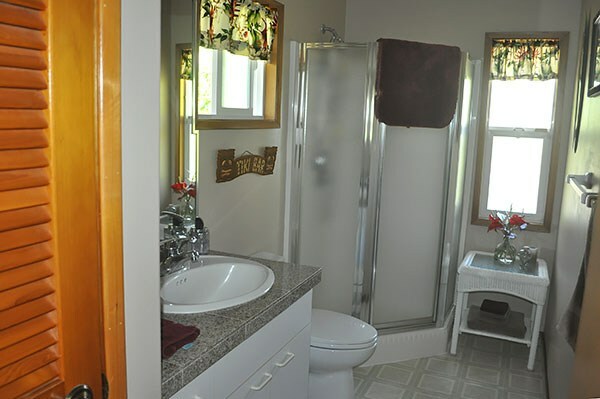 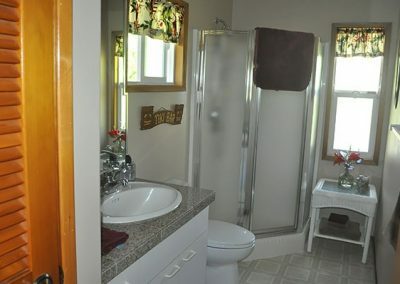 The additional large sized second bedroom and guest bathroom is located on the other end of the home allowing for privacy. 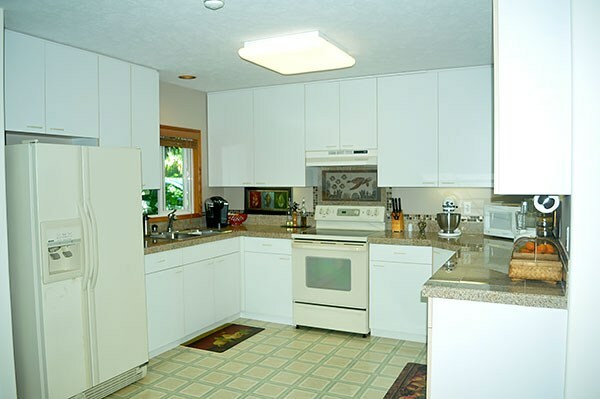 The full sized laundry room and one car garage round out this home. 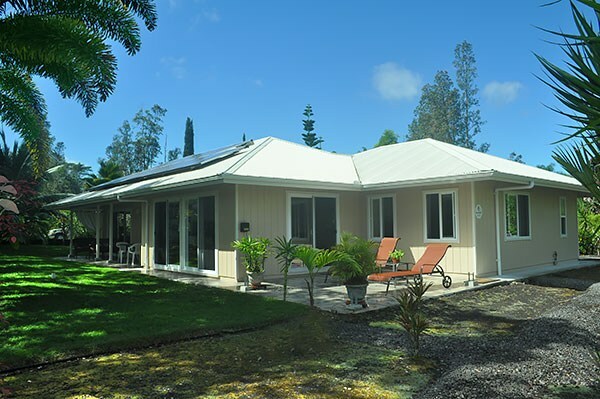 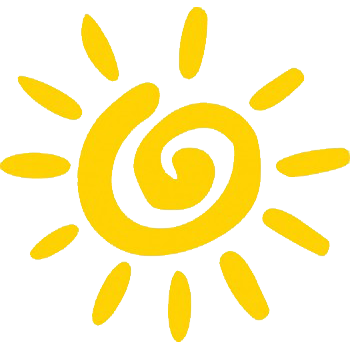 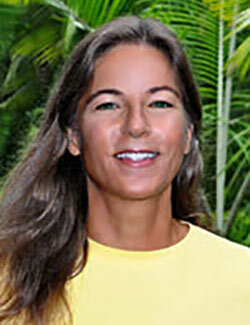 Within the last year the current owners added a complete, quality solar system to the home. 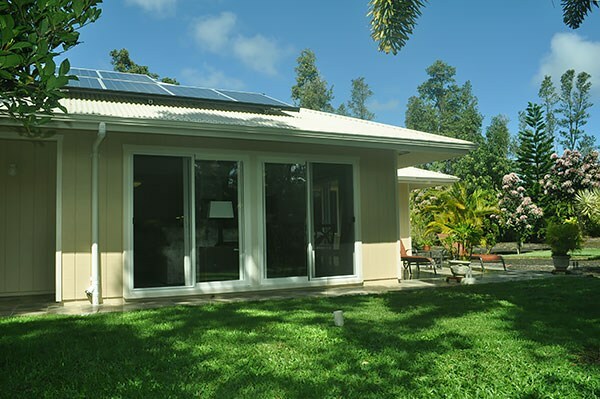 You are connected to the grid so no batteries needed and to date the owners have not had a HELCO bill over the mandatory $21 per month. A savings of $150-300 per month depending on your electric usage! 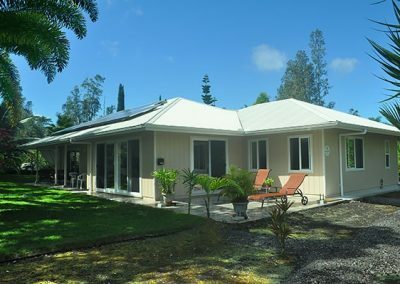 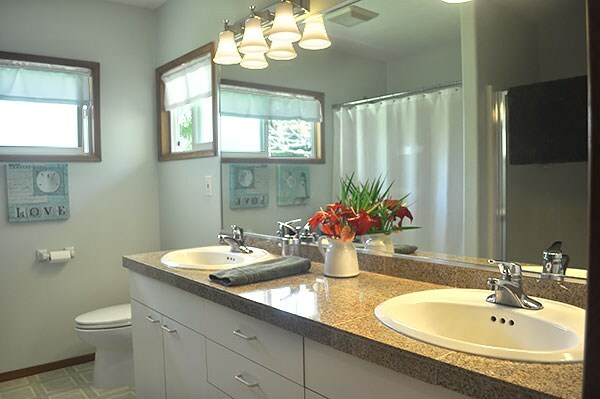 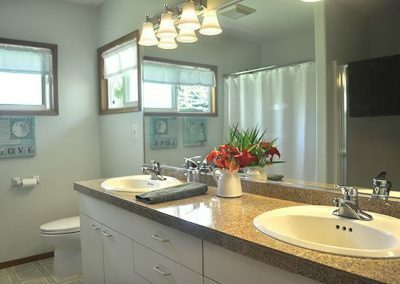 The new granite tile counter tops were recently installed in the kitchen and bathrooms, the lanai space has been expanded and tiled and the home had been painted inside and out. 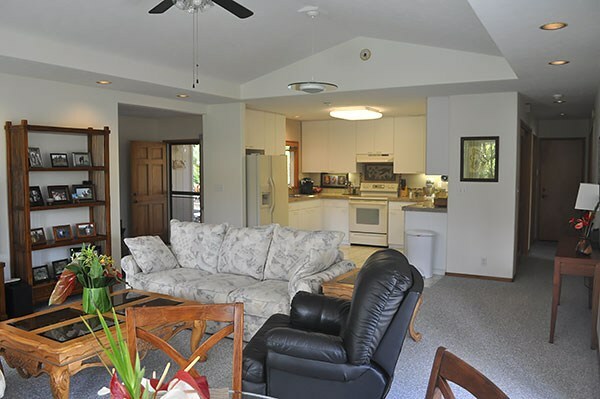 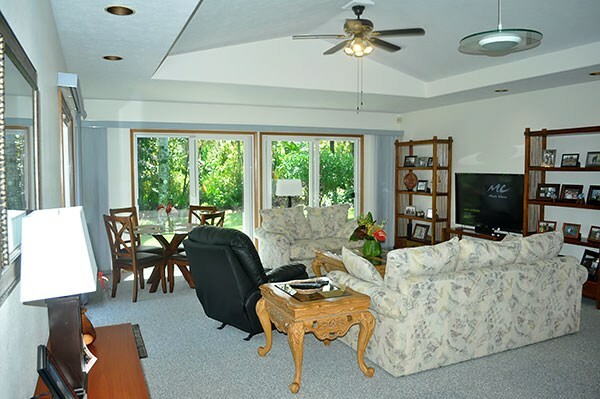 This home has been very well taken care of and pride of ownership shows.